Honey bees have been ruling the world for the past 50 million (yes million!) years but there is bad news on the horizon for them – they’re starting to die out! Honey Nut Cheerios has started a new campaign to help try and shed light on this crisis. Take a look at the following video featuring American entomologist Marla Spivak to find out more about the current crisis. You can help turn this criss around by picking up some wildflower seeds and planting them in a garden near you! Go to the following link to enter the contest and get your free pack of seeds. Every entry makes you eligible to win one of five $5000 garden makeovers. 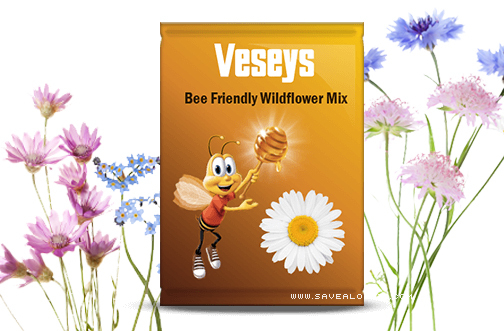 The seeds will show up at your door, you can plant them wherever you’d like on a non-windy day, and you’ll have a beautiful patch of wildflowers in no time! There are over 20,000 different species of bees around the world! Bees Can Recognize you – Honeybees make out faces the same way we do. They take parts—like eyebrows, lips, and ears—and cobble them together to make out the whole face. It’s called “configural processing,” and it might help computer scientists improve face recognition technology. They-re super speedy – The honey bee’s wings stroke incredibly fast, about 200 beats per second, thus making their famous, distinctive buzz. A honey bee can fly for up to 9 KM, and as fast as 25 KM per hour. Hey Buddy!, I found this information for you: "#BringBackTheBees". Here is the website link: http://shesinfluential.com/2016/04/04/bringbackthebees/. Thank you.